Dr. Burd leads the Nutrition and Exercise Performance Group and has a research interest in the area of nutrition and exercise metabolism. He received research training from the Human Performance Lab (HPL) with Professor Todd Trappe, Exercise Metabolism Research Group (EMRG) with Professor Stuart Phillips, and the Muscle Metabolism Maastricht (M3) research unit with Professor Luc van Loon. He has a particular expertise in the use of stable isotope tracers to provide a window into the intricacies of human metabolism, such as glucose and protein handling, and its responses to nutrition, exercise, and poor health. 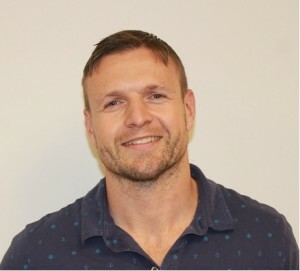 Given the recent advances in protein turnover research, he has an interest in combining metabolic labeling with high-throughput proteomic-based methods and ribosome profiling to better understand how muscle cells coordinate and adjust their proteome in response to anabolic stimuli such as food ingestion and physical activity. Ultimately, this information can be used to design recommendations for more effective exercise and nutritional strategies to improve physical performance and health. Current approaches that compartmentalize physical activity and nutrition guidelines discount the interactive nature of these two stimuli. Thus, our experiments are designed to show that physical activity and nutritional guidelines are inextricably linked and should be considered together in order to provide the most effective lifestyle recommendations to optimize (muscle) health across the lifespan. We prefer to use a collaborative research approach using world-wide networks, which allows for interdisciplinary thinking and often more meaningful science.